Base Station Hub integrates a sleek, modern design with a highly functional charging hub. With 3 high-power charging coils, Base Station Hub can charge 1 or 2 phones wirelessly. There are also two out ports: one USB-A and one USB-C PD with an 18W output capacity. 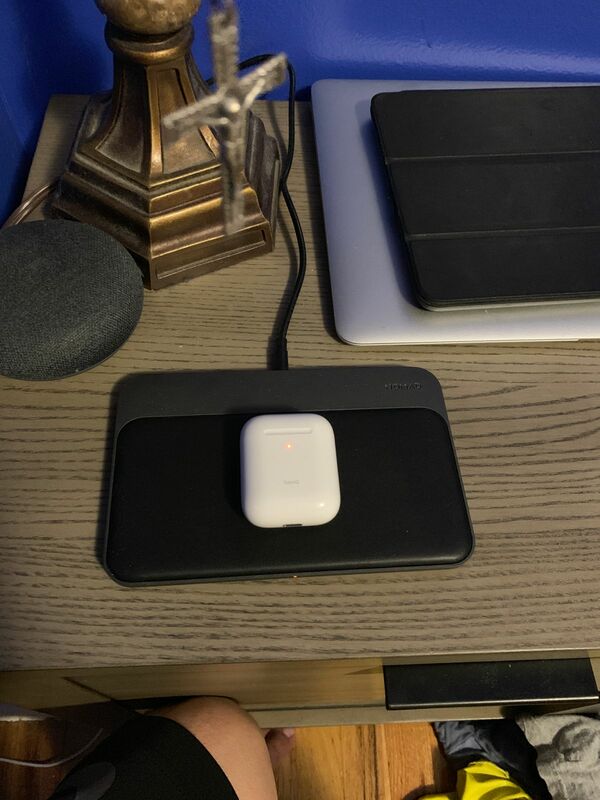 Can Base Station Hub wirelessly charge my AirPods? Yes, if you have the Wireless Charging Case made by Apple. Our Rugged Case for AirPods is compatible with AirPods Wireless Charging Case. How many devices can Base Station Hub charge? Base Station Hub can charge up to 4 devices at once. Two phones can be charged wirelessly at the same time, while another two devices can charge via the USB ports. Can Base Station charge a MacBook or MacBook Pro? Does this work with all Nomad cases? Can Base Station Hub wirelessly charge my Apple Watch? No, Apple Watch can currently only be powered with dedicated Apple Watch chargers, like the integrated puck in our Base Station Apple Watch Edition. Standard Qi wireless charging is not available for Apple Watch. We like to charge fast, so we included an 18W USB-C PD port to maximize charging potential. Base Station Hub charges up to 4 devices at once in a central location with minimal cords, keeping you powered at home base. Small details are important to us, so we added a padded leather wireless charging surface with a soft finish for your phone to rest on. With 3 high-power coils, Base Station Hub charges one or two devices simultaneously at up to 10W each. Additionally, a USB-C PD (Power Delivery) port provides 18W out, while the USB-A port provides an additional 7.5W of power. Every detail matters. We have meticulously designed Base Station Hub for aesthetics and performance. With a height of just half a centimeter and a sleek aluminum frame, Base Station Hub serves as the premium charging solution for every device. Yakov G. Reviewed by Yakov G.
Sean Y. 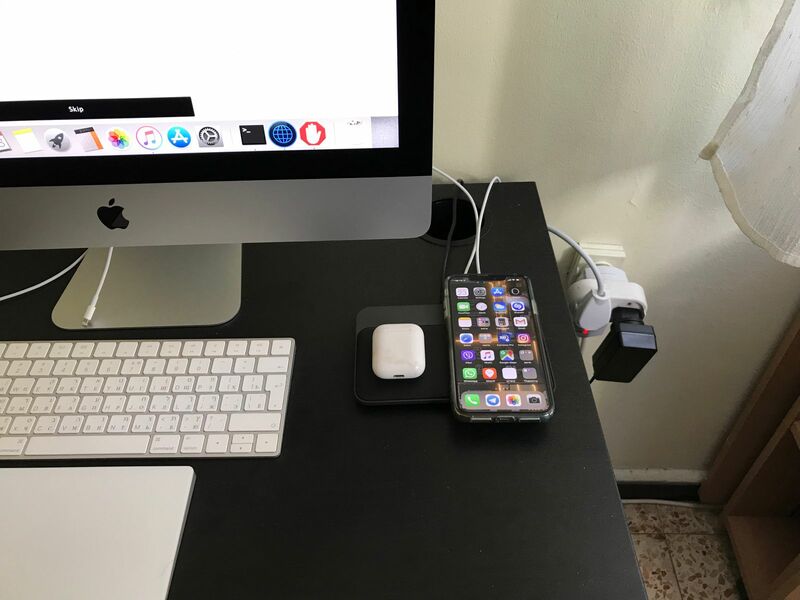 Reviewed by Sean Y.
Neat and powerful wireless charger! Steve Q. Reviewed by Steve Q.
I was looking forward to the apple mat, but heard not releasing. So an apple employee recommended nomad. Boy he did good because I love this product. It’s perfect, I would’ve liked it in white but it’s fine. Love it charge my phone and AirPods!